When I am not writing for Her Campus or studying for class, I spend my free time at comic conventions. Cons are wonderful events where fans of all demographics can come together and celebrate the movies, shows, books and comics they love. 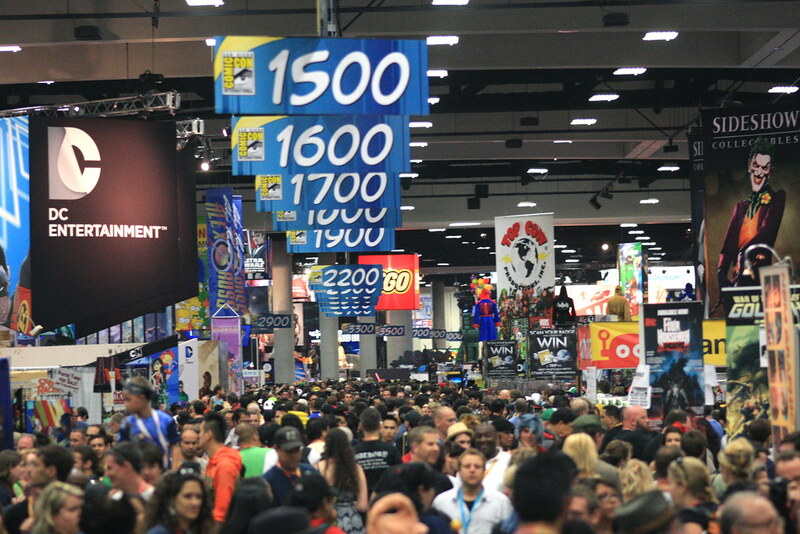 Conventions come in all shapes and sizes - from small local or show specific conventions to San Diego Comic Con with over 150,000 attendees in 2018. This fall I am going to three conventions. Two are for the television series Superntaural and one the other is New York Comic Con, the largest comic convention on the east coast. While the weekend-long events are a blast, it takes a lot of prep work to have a successful and stress-free time, especially when going to three in a row. So, here are my tips on how to prepare for the best convention experience possible. 1. Make a budget - and stick to it. Conventions can be very expensive. Not only can admission cost a fortune, but on top of that there are autographs, photo ops and merchandise to buy once you are in the door. Making a budget before you are inside will keep you from blowing your savings on TARDIS tees or collectible comics. List out everything you might need, or want, to spend money on, including everything at the convention plus housing, transportation and any other necessities like food or tips. And once you have that total, stick to it! One way I do this is to only bring cash to the expo hall or vendors’ room, however much I am willing to spend, and once it is gone, I do not reload. This way, even if I am tempted, I truly do not have a way to go over my budget, and, as someone who is going to multiple conventions, that is key. 2. Get the logistics settled as far out as possible. Unless you live where the convention is being held, you will need to arrange for transportation and housing. As hundreds or thousands of people are trying to go and stay in one place, hotels, planes, buses etc. will sell out or go up in price. Secure the logistical pieces, including your admission, as far out in advance as possible so that you do not have to worry about not being able to go at all. 3. Become familiar with the schedule and map of the convention center. Every convention will have a schedule to tell you what panels and activities will happen at any given time and where they will take place. Some conventions will make the schedule available months in advance while others will be just a few days before. Either way, look at the schedule beforehand and make a personal schedule for what you are interested in. That way, if you get overwhelmed by the chaos of the convention, you already have a game plan. It can be additionally helpful to look at a map of the convention center so you know how far apart locations are and you can map out the fastest paths from one room to another. That way when 2,000 people stand between you and the Wonder Woman panel upstairs, you already know where to go. 4. Find some con buddies! A convention is always better when you have someone to share it with! Often friends are made at the convention, but especially for first time con-goers, it can be much easier to have a friend going into it. Many conventions will have Facebook groups for attendees which are great “places” to meet new people, get updates, or get convention tips. Even as a veteran, I learn new tops and tricks all the time, and it makes me feel like I am part of the community even when I am not at the actual convention. 5. Get ready for one of the best weekends of your life. After all of this, you might be thinking conventions are more stress than they are worth. But conventions have been the most fun events I have ever been to and some of the best weekends I have ever had. Not only are the panels and guests amazing, but more than that, it is the community you get to surround yourself with. Fandom can be isolating or misunderstood at times, but at a convention, fandom is why everyone is there. It is a liberating and loving experience that will be unforgettable.